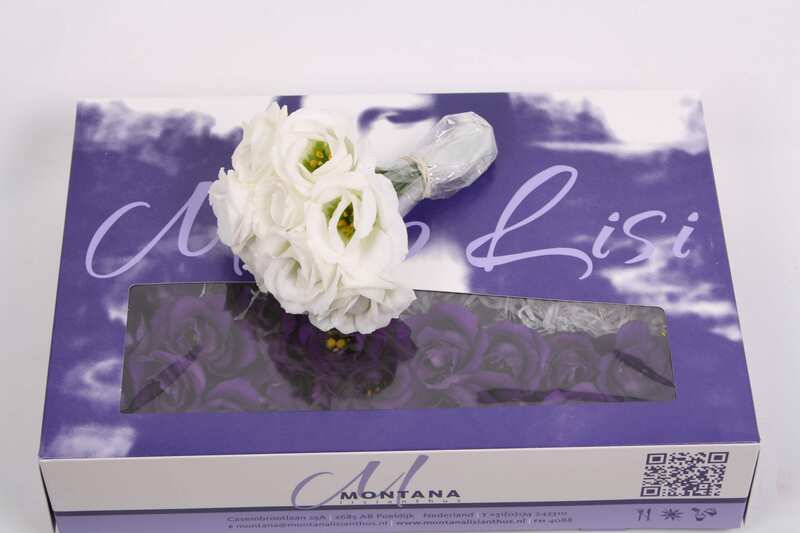 Montana Lisianthus has specialised in growing this exceptional cut flower for more than 20 years: Lisianthus, in those days was still called Eustoma. The nursery, which produces year-round, is located on the edge of Poeldijk, in the heart of ‘greenhouse city’– the Westland. 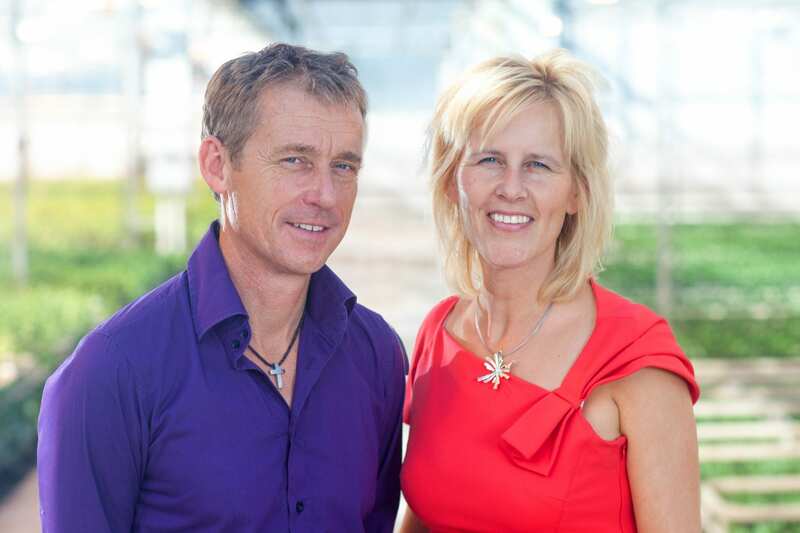 Corine and Frank van Holst truly have growers blood running through their veins, both were born and raised in nurseries and have an agricultural education. Growing is their passion. The company move with the times – in the 21st century, a lot goes into producing a spectacularly beautiful bunch of Lisianthus. In a world of abundant supply, your product must offer something special to please the customers. Corine and Frank are always aware of this, and work hard, with great success, to offer Lisianthus of exceptional quality and consistency all year round. To guarantee the quality for as long as possible, directly after harvesting the flowers are placed in auction buckets with water enriched with extra flower food supplement. 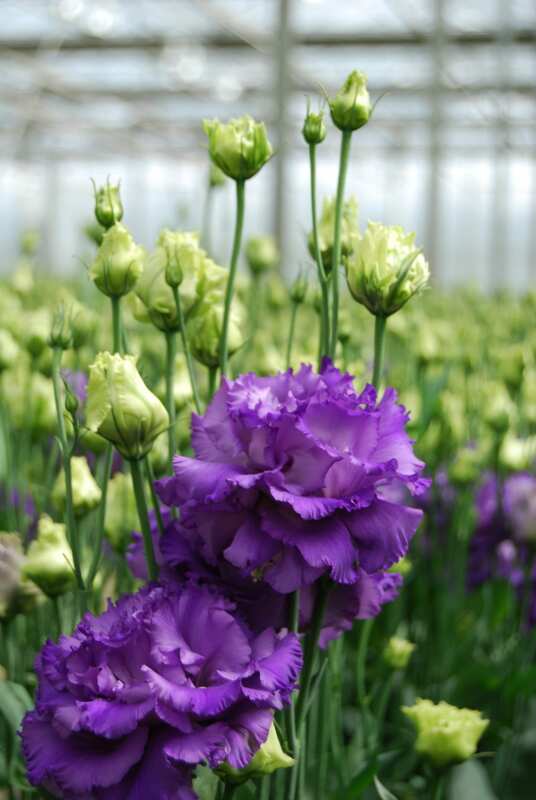 The Lisianthus is transported same-day fresh to the auction and the various buyers in the food-enriched water. Montana does this to give the flowers a healthy ‘packet lunch’ for on their travels. If the consumer then adds flower food in the vase, the usage life is effectively doubled. 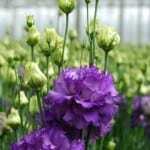 In the meantime, no fewer than 7 Lisianthus colours are in production, all double-flowered. 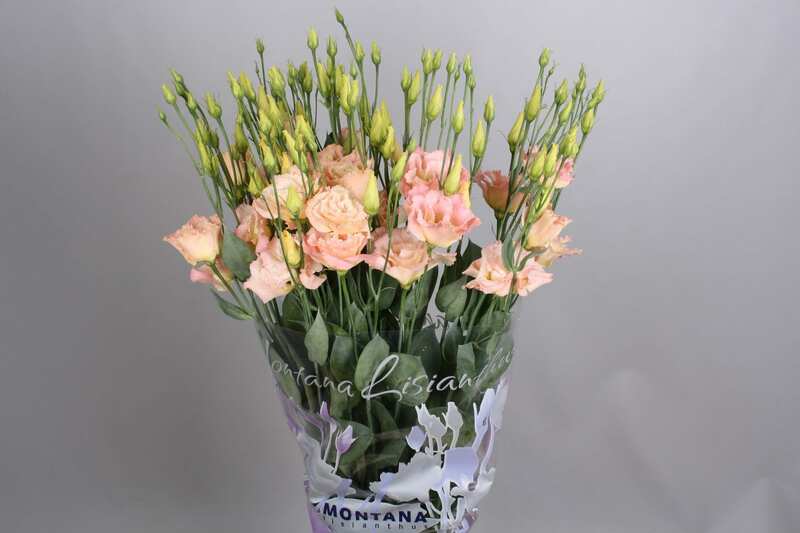 Montana Lisianthus was the first nursery to grow Rosita due to its long usage life. This variety has more special qualities – the branch form and the flower form are, simply said, fantastic. Corine always says ‘Lisianthus is more beautiful than a rose – and it lasts longer!’ They now offer two new Lisianthus ‘stars’ to their customers: Rosanne Dark Brown and Rosanne Amber Green. The shape, the colour, and even the buds of the new Rosanne series are extraordinary, but pay attention to the petals as well – they are incredibly firm and strong. Everyone knows the standard bunch of Lisianthus. Corine and Frank discovered that Lisianthus can be used differently to how they are usually presented. 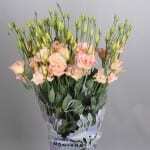 Most Lisianthus are delivered with a length of 75cm, whilst they are often sold at 40 or 50cm length. In this case it is especially important that the flowers are in the top part of the stems. 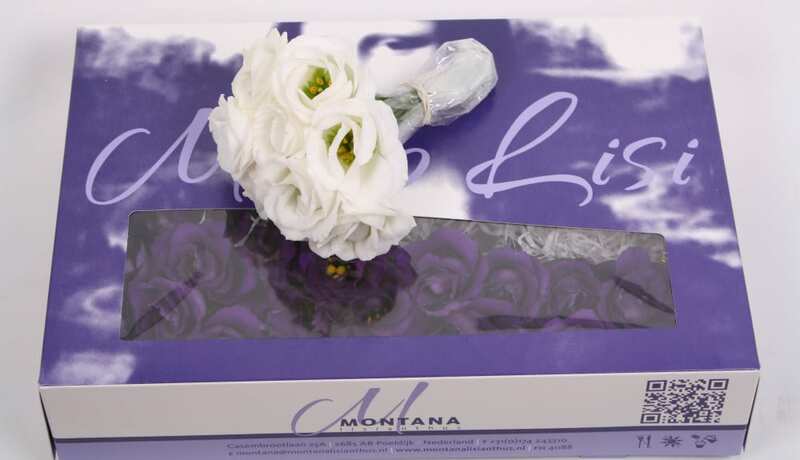 No problem at all for Montana Lisianthus – they are experienced in bespoke work. The couple produce some of the most beautiful varieties of Lisianthus and constantly explore ways of supporting their customers. 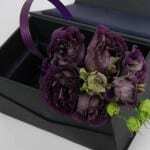 One recent innovation is their ability to supply short stems of Lisianthus based on colour and/or variety. 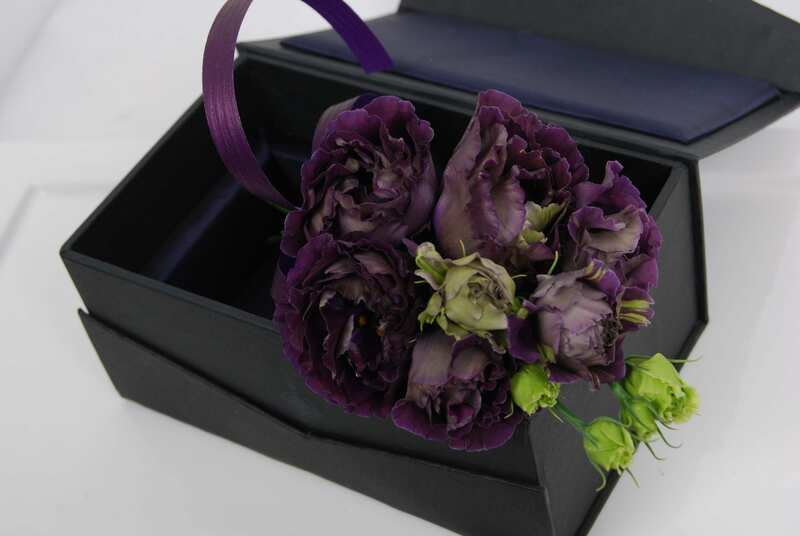 This is particularly useful for bridal bouquets and, indeed, for the increasingly popular posy style mixed handtied bouquets.